I’ve always been the type of parent that encourages play. Whether my daughters wanted to reach for a baby doll or toy cars, I never worried about it. In fact, the activity of play is one of the best ways to help your kids develop their language skills, spatial awareness and so much more! So yes, my girls have definitely played with and loved all types of toys. This year, some of the coolest toys are Air Chargers. You can pump your car to charge it and then you can let it fly! I can see these being played with on Christmas morning! You can pick one up, here. Pump up the action, you control the power of your jumps, stunts, and crashes. Air Chargers is the ONLY vehicle play system where YOU decide how fast, how far and how high! 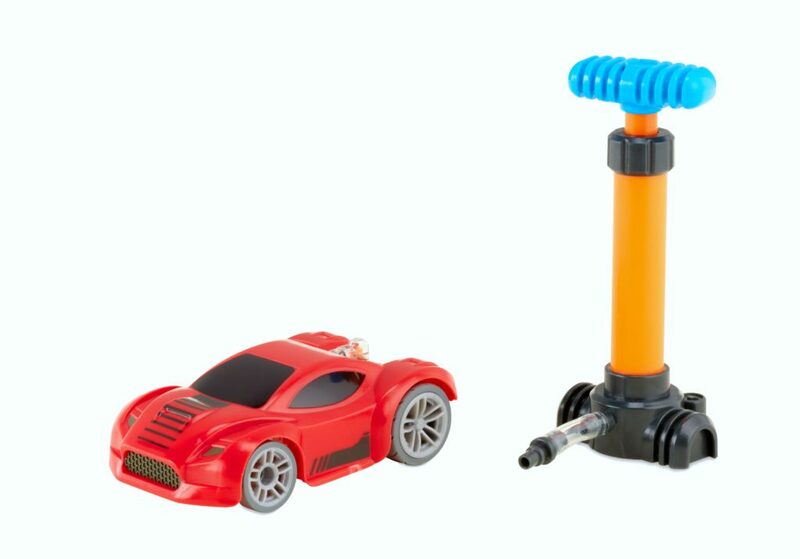 Air Chargers launcher and vehicle put the power, speed and racing into the child’s hands! Your kids can control the action by pumping their launcher, powering the vehicles, then launching them into high-speed action! Motor revving sounds exude from the built-in pistons system in every car. Collect and race them all! Race side by side, challenge your friends to big air stunts, or complete the longest jump to be the Air Chargers Champion! One lucky Whispered Inspirations reader will enter to WIN an Air Chargers Vehicle + Launcher. This contest is open to Canada only and opens on November 19, 2018 and closes on December 5, 2018. Check out my Holiday Gift Guide to see all of the other top gifts for kids from Air Chargers, they really are a HOT toy this year! Who in your life do you think would love this toy? My cousins son would just love this! My little man would love playing with this toy, he like high-speed action! My son and my nephew would both love this! What fun! This would be fun for my son to play with! My nephews would love this toy. I think my son would really like this! He loves all cars and trucks. He is always building ramps for his cars to make them go so I think he would really love this. I believe creative play is so important because it develops a childs’ sense of independence, creativity and brain function! creative play is important because it helps with developing skills and just to have fun! love to gift to one of my grandchildren! I would love to win this for my son! He is big into cars and trucks right now. Thanks! I would love to gift this to my 5-year-old son for Christmas! He would love it so much. My grandson would certainly love this ! My girl would love this, and she loves to share with her neighbor friend! I have a couple of nephews who would love this toy. Our godsons [ 7 and 10 ) would love this! Although I think all the big boys too 🙂 Really it goes 500 miles/hr. ! They would be thrilled! My granddaughter would love this! Thank you! My younger sons would have a blast with this! I would give this to my grandson — he loves cars and would have a blast playing with this. This would be enjoyed by the little ones I babysit. My little nephew would just love this! 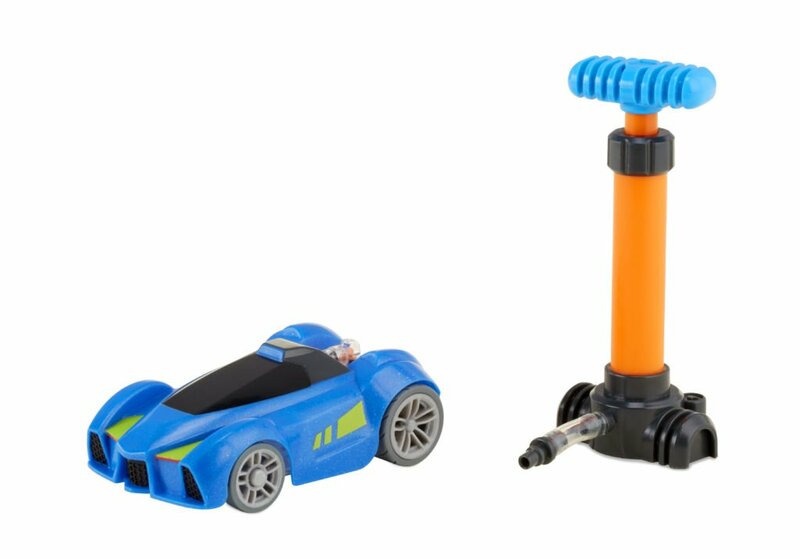 My little man would be excited to get Air Chargers Vehicle + Launcher! My son is all about racing and cars and vehicles for that matter! Id love to win this for him. My little man would love to play with this! one of the grandsons would love it! My whole family would have fun with this. My nephews would love this toy. They’re obsessed with cars. My grandkids would love this prize package. one of my grandkids would love it! This is something my son and daughter would enjoy together. I would gift this to my little man! I think creative play is important to us all not just kids! I think my nephew would have a lot of fun playing with this! I would gift this to my little man, he likes vehicle games! any of my grandkids would love it! My little boy would love this toy, looks great for fun games! Awesome toy for my son! My grandson and his poppy would love this! I think my nephew would enjoy this toy. He loves cars. I van see my son enjoying this for hours! 🙂 he likes to keep busy. I would gift this to my little one!!! I would love to gift to one of the grandchildren! My grandson would love this,thanks for the giveaway! Creative play is important because it allows kids to experiment with the things they know and to role play situations. It’s a great way for kids to explore their feelings and learn in their own ways. My godson would enjoy this! My baby George would love this toy!